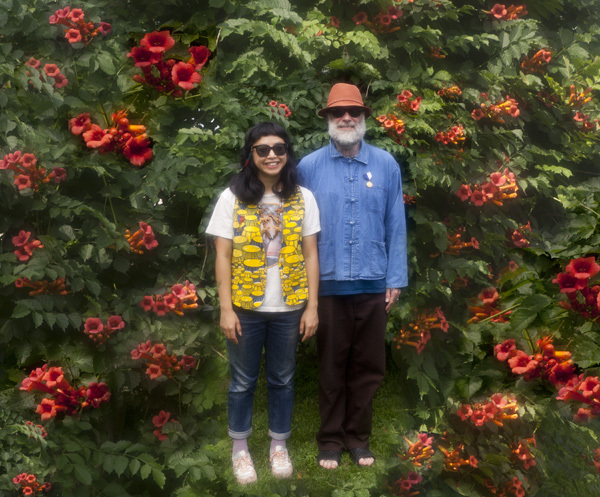 Fountainsun is the duo of Daniel Higgs and Fumie Ishii performing with a variety of instruments, singing, and reciting of verse. Their hand-made music is offered in the spirit of community & friendship as a tool for peaceful obliteration of corporate mass-media mind (body, soul) control, and its relentless program to pollute & pervert even the human imagination with the spores of its insane GREED. All are welcome in the Fountainsound.